Jeffrey was born May 11, 1968 in Massachusetts. He is 6 foot tall. He graduated from New York University's Graduate Acting Program, where he received an MFA. Currently lives in Los Angeles. Graduated from Amesbury High School in Amesbury, Massachusetts. You may have seen him in Burn Notice, Touching Evil, and Misc shows as guest appearances. I really like Jeffrey! I love Burn Notice, I watch it every week! This show is awesome! It is the best spy show on tv!!! I really wish that Touching Evil was out on DVD but haven't found anywhere to watch it! 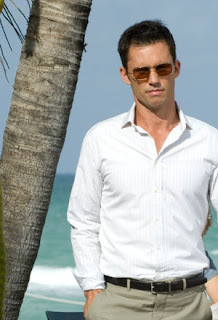 Jeffrey is a hottie and I want me some Michael Westen right now! Jeffrey deserves to be my boyfriend this week! Great choice! Burn Notice is a fantastic show. Can he be my boyfriend too? What a cutie and he is from MA! I live in MA. hahaha! :) You can have him this week, I'll have him next week. LOL! I love him in Burn Notice.